This is with respect to an article published in your journal, “Laboratory disease: Case of pseudothrombocytopenia.” I would like to discuss a similar case of pseudothrombocytopenia observed at our tertiary care hospital of northwestern part of India. A 17-year-old male patient was referred to our hospital with complaints of fever and a provisional diagnosis of thrombocytopenia under evaluation. On our workup of the patient, his blood tests showed Hb – 14.1 g/dL, red blood cell count – 5.30 × 106/uL, white blood cell (WBC) count – 5.33 × 103/uL, and platelet count – 4 × 103/uL. His creatinine was 0.7 mg/dl and serum glutamic pyruvic transaminase was 55 U/L. 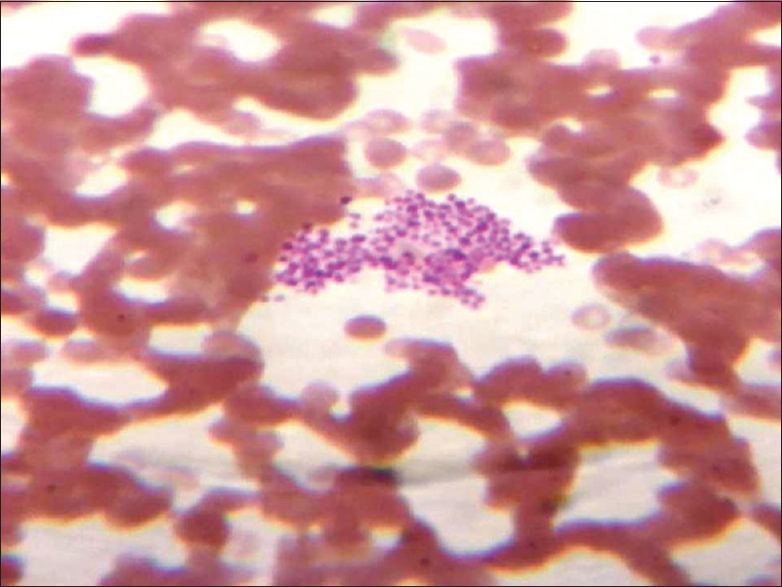 On examination of peripheral blood smear, numerous clumps of platelets were observed [Figure 1]. This created suspicion of ethylenediaminetetraacetic acid (EDTA)-induced thrombocytopenia as the cause of low platelet count on automated hematology analyzer in the sample. To confirm the observation, patients' blood sample was taken in sodium citrate-containing vial instead of EDTA vial. The sample in sodium citrate showed Hb – 14.1 g/dL, red blood cell count – 5.30 × 106/uL, WBC count – 5.33 × 103/uL, and platelet count – 150 × 103/uL. 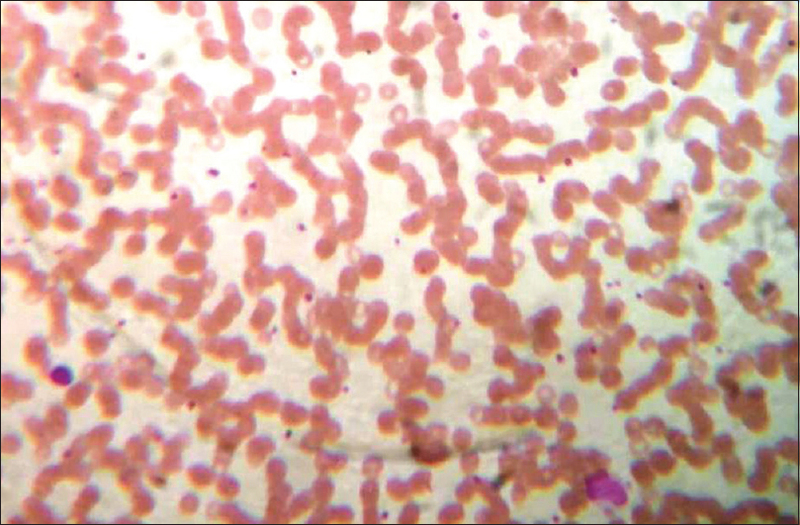 Examination of peripheral blood smear showed a regular dispersed pattern of platelets present in adequate numbers [Figure 2]. On repeated sampling, similar results were obtained in EDTA and sodium citrate-containing vials, respectively. Finally, a diagnosis of pseudothrombocytopenia attributed to EDTA was made. The diagnosis of EDTA-induced thrombocytopenia is hubristic but tenacious adherence to peripheral blood smear examination remains the gold standard. Our findings repudiate the blindfolded dependence on automated hematology analyzer, particularly in case of low platelet counts. I hope my case discussion will further strengthen the aforementioned article and emphasize the need to cross-check spuriously low platelet counts reported by automated analyzers with manual peripheral blood smear examination.